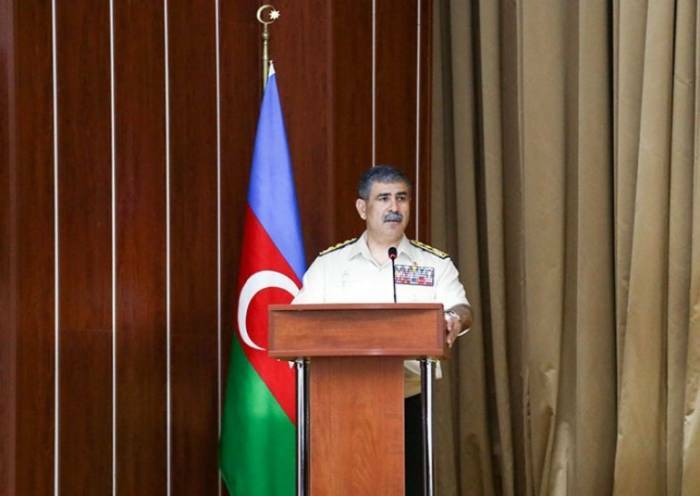 On May 18, a seminar on the topic "Actual problems for moral-psychological support of modern combat" was held with the participation of deputy commanders of Army Corpses, formations and deputy chiefs of special military educational institutions for work with military personnel, Azerbaijan’s Defense Ministry told AzVision.az. 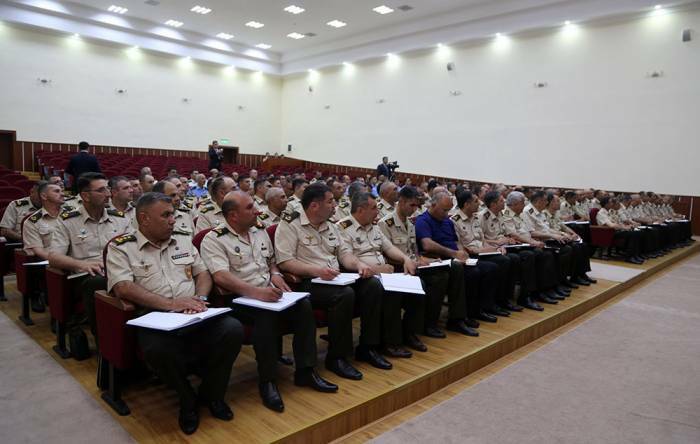 Minister of Defense Colonel General Zakir Hasanov has met with the military personnel who participated in the seminar. First, the participants of the seminar paid tribute to the memories of the national leader of the Azerbaijani people Heydar Aliyev and shehids (martyrs) who sacrificed their lives for the territorial integrity of our country, then the National Anthem of the Republic of Azerbaijan was performed. 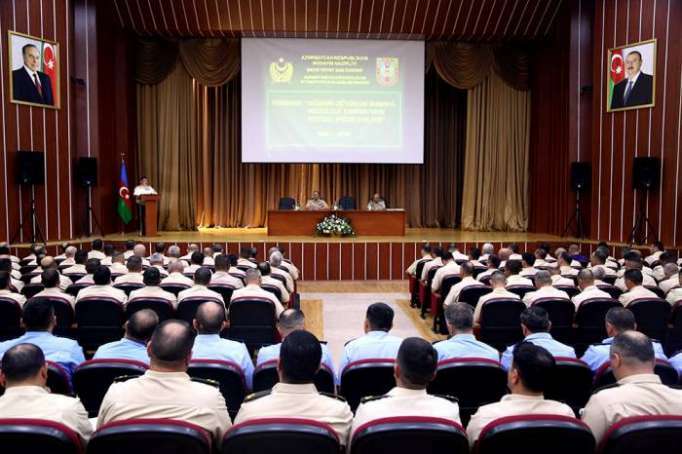 Analyzing the current state of the work done in the sphere of moral-psychological preparation, Colonel General Hasanov shared his visions on the organization at a high level of activities in this direction, the education of servicemen in the spirit of national and moral values, the deep knowledge of servicemen of modern weapons and equipment, and on a number of other issues. Especially noting the achievements of our Army, the defense minister stressed that these successes are a clear indicator of the attention and care given by the President of the Republic of Azerbaijan, the Supreme Commander-in-Chief of the Armed Forces, Ilham Aliyev to the army construction. The minister of defense stressed that the targeted domestic and foreign policy of the president of the Republic of Azerbaijan completely isolated Armenia from all regional and international economic projects and made it financially dependent on foreign grants. The minister emphasized that economic growth and strengthening of the military potential of Azerbaijan led to the collapse of Armenia. The defense minister gave relevant instructions in connection with the intensification of work on moral-psychological training, implementation of safety regulations and increased vigilance, proper conduct of individual educational work among servicemen, building relationships according to the requirements of Army regulations and other spheres. Then, reports were heard on the subject of the seminar, an exchange of views took place and suggestions were put forward to improve moral-psychological support.